Help your swimmer improve technique to drop time for swim team. It is very difficult for swim team coaches to provide individualized feedback to their swimmers during practice. Because of this, we offer Group, Private, and Video Swimming Lessons to focus on stroke technique, race strategy, and competitive swimming skills. We provide swimming classes for individuals in Naperville and Aurora, Illinois and various other areas. 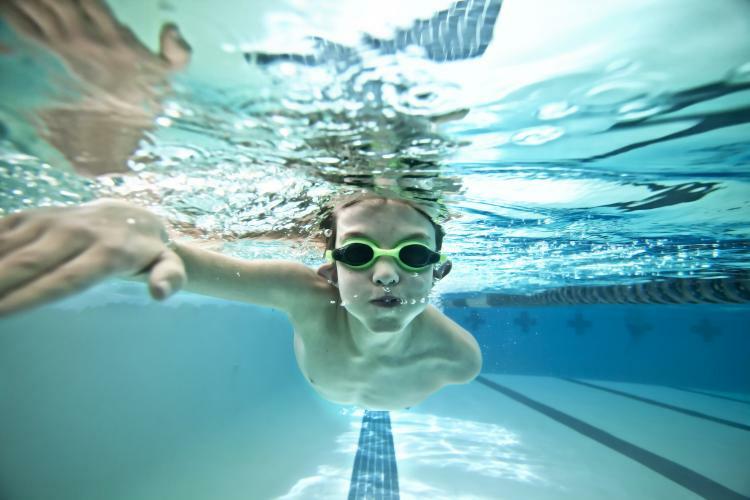 Our swimming lessons are also a great way to get your child back into shape for the summer swim team, or prepare your child for their first swim team experience. Group swimming lessons are a great way to get your swimmer ready for the summer swim team. Our swimming school is especially helpful if your swimmer has been out of the water for awhile and needs to build up their endurance. If your swimmer is in the Green Level or higher, they can enroll in these group swimming lessons to focus only on dives and turns. In this group swimming lesson, we will focus on enhancing various skills such as dives and breakouts for all strokes, Freestyle and Backstroke Flip-Turns, and Breaststroke and Butterfly open turns. This is our highest group swimming lesson level. This level of swimming classes is run like a swim team practice. Students swim sets, learn how to use a pace clock, and work on advanced technique. Prior evaluation is required to test into this level swimming lessons. This class is great for students who are interested in doing swim team or who are preparing for an upcoming season. It is structured like a swim team practice with focus on building endurance, speed, and overall swim team readiness. This class is open to students in Green Level and higher. Our Private and Semi-Private Swimming Classes are a great way to get individualized attention to achieve faster results. Our Video Analysis Private Swimming Lessons are great for visual learners. Students are able to see their technique both above and below the water to work on technique refinement.